Telling the Bees is an AHRC funded connected communities research project working with beekeepers and storytellers around Perth, Scotland. 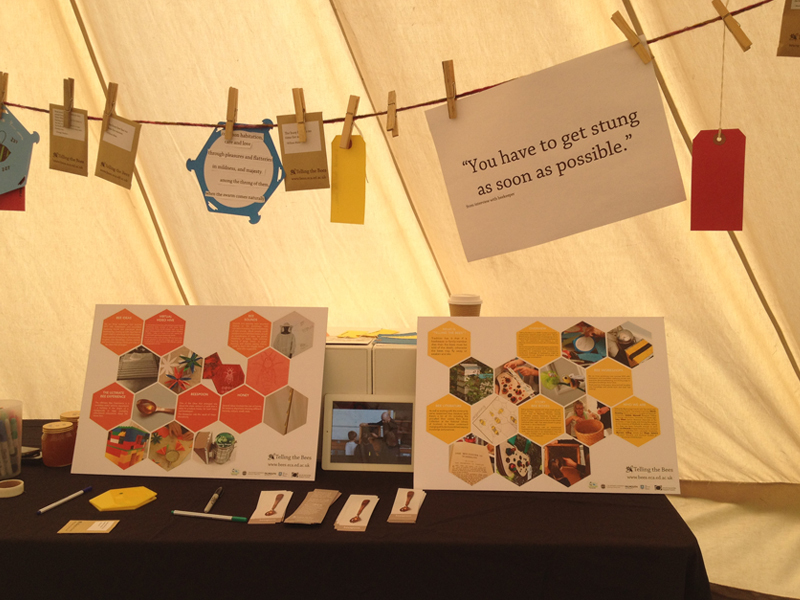 I worked as a designer on the Telling the Bees, attending workshops and incrementally designing prototypes with our group or researchers, beekeepers and storytellers. We presented some of the ideas at Tay Landscape Project’s Fruit Festival in October 2015. We wanted to draw attention to the value of honey and the effort required for its production by drawing attention to the work of an individual bee in a hive. A worker bee will produce about a twelfth of a teaspoon on honey in her lifetime. To produce this honey we estimate she will visit 1837 flowers. 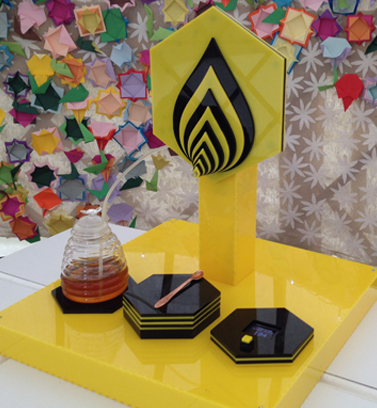 We created an installation where people made origami flowers in exchange for droplets of honey. 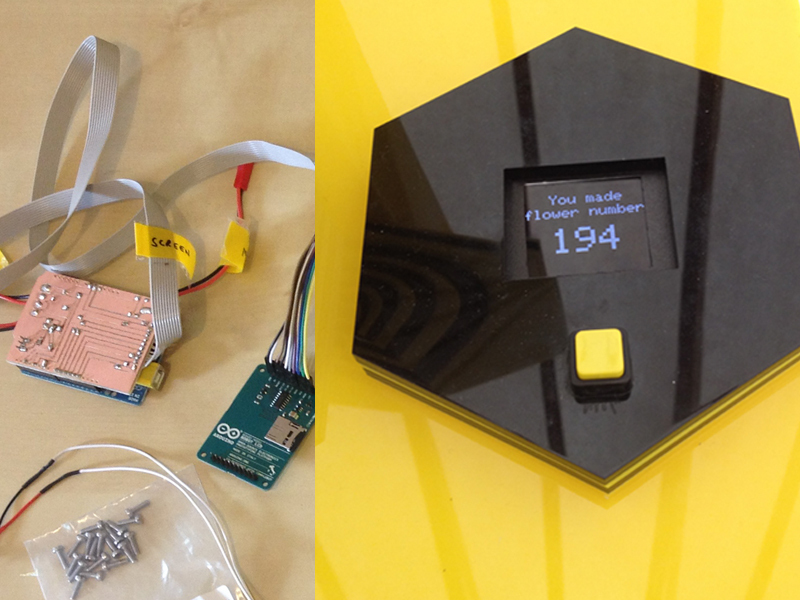 For every flower made a button was pressed triggering a counter and peristaltic pump. 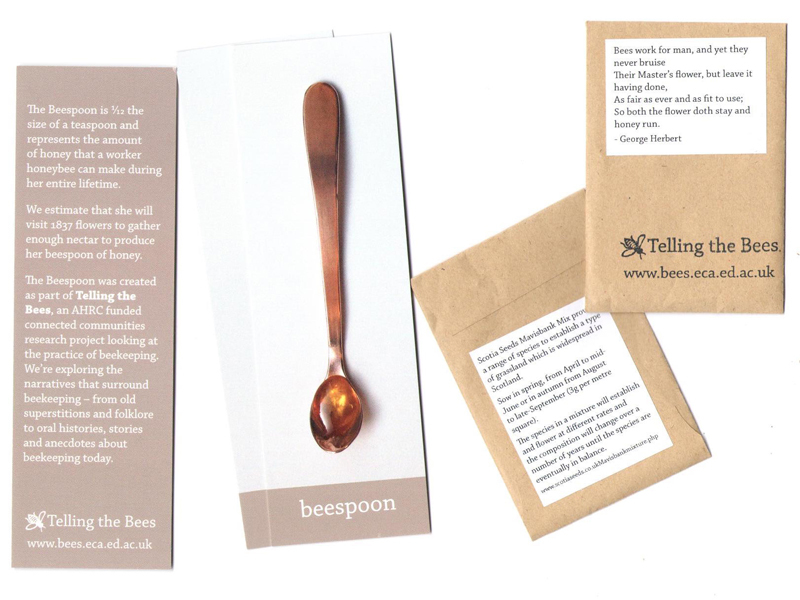 Over the festival the beespoon was filled by the work of the participants. 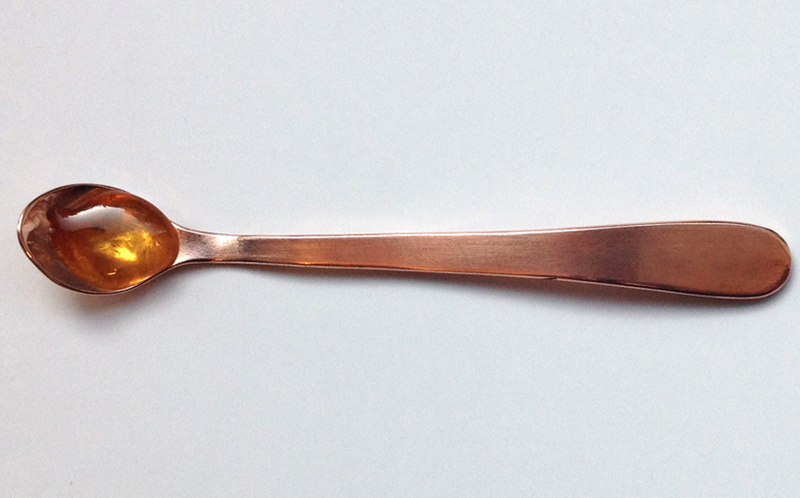 The copper beespoon was made by jeweller, Cerys Alonso. 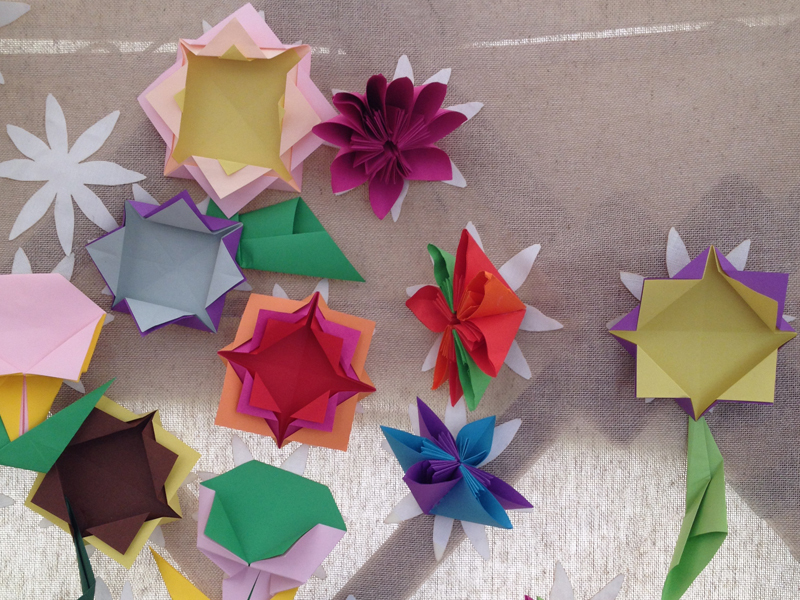 Origami flowers made by visitors to the Fruit Festival. 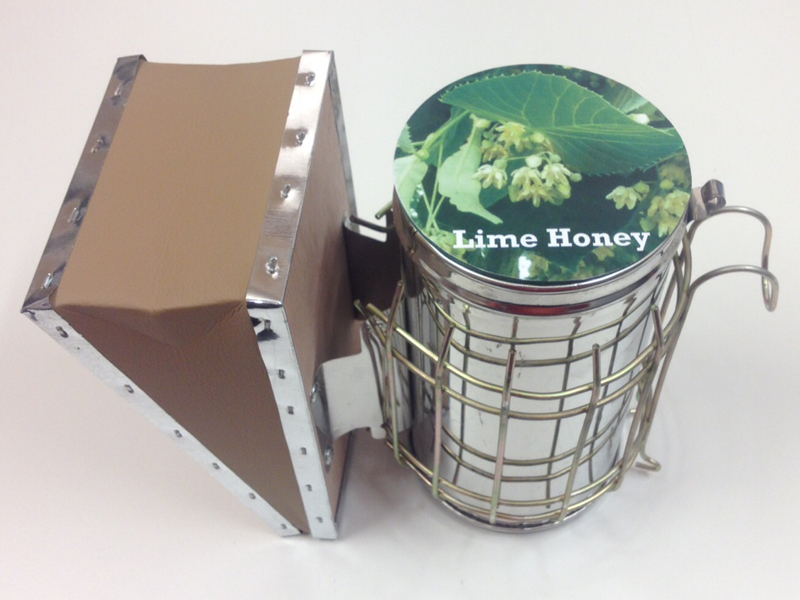 Honey dispenser used an arduino, peristaltic pump and TFT screen. We sourced bee-friendly flower and grass seed from Scotia Seeds and packaged it with fragment of bee lore and gave to participants at the festival. The research team interviewed beekeepers about beekeeping practices and folklore associated with bees. 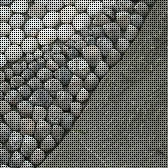 Snippets were drawn from the recordings and edited on the themes of disease, pesticides, shortages, familiarity and inexperience. Speakers were sewn into the beekeeping hat for an enclosed, intimate listening experience. The recordings were associated with Bluetooth Beacons and were triggered when visitors found markers hidden in the park space. 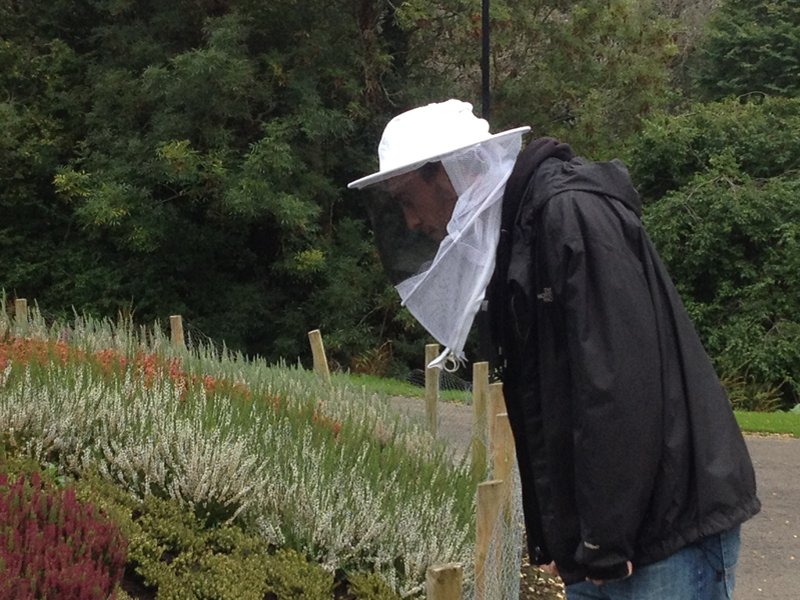 Testing the augmented beekeeping hat. ‘Telling the Bees’ comes from the tradition of beekeepers telling family news, (particularly family deaths) to the bees. The project aimed to uncover future folklore through sharing present and past bee lore and life. Anna and Sarah, students from Falmouth, worked to uncover thoughts and reflections through ‘cut-up poetry’, voxpops, and drawings. Many ideas were generated through the workshops. Several were presented and evaluated at the third workshop. 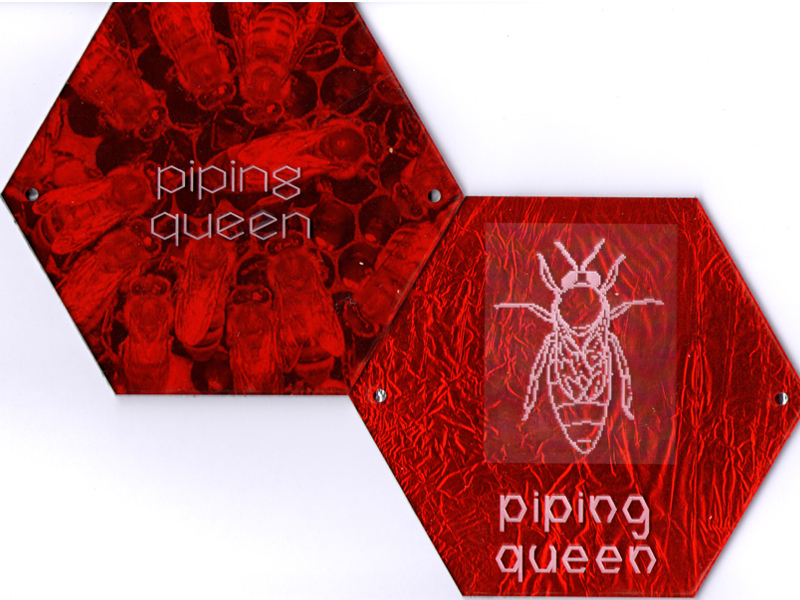 These included an interactive sound installation and a sensory display incorporating bee smokers adapted as perfume dispensers to disperse the scent of Heather Honey, Beeswax and Propilis. Sound panels, triggered by touch and movement.